The Chabad Centers of Sudbury & Natick invite you to join us for an awesome Chanukah event at Roller Kingdom in Hudson on Saturday Evening Dec 24th, the first night of Chanukah. 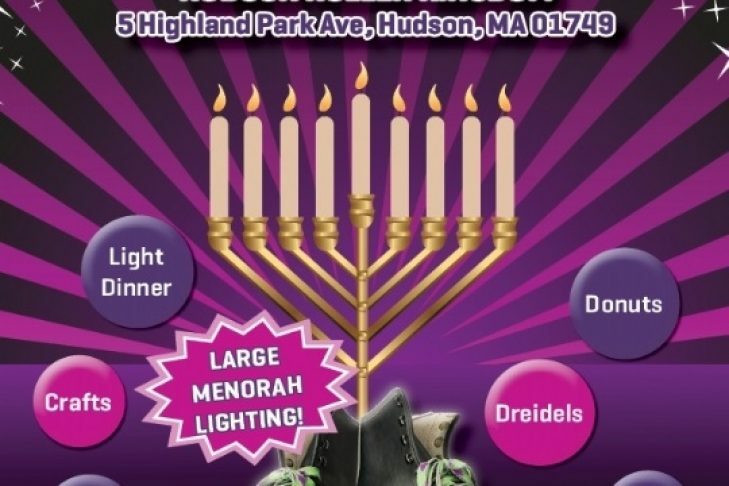 The event which will feature a Chanukah Celebration and 2 1/2 hours of roller skating, a light dinner, Chanukah Arts & Crafts and a whole lot more, is guaranteed to be an amazing Family Chanukah Activity. The doors to the event will open at 6:15pm and the event will run until 8:45pm. Hudson Roller Kingdom is located at 5 Highland Park Ave, Hudson, Massachusetts 01749. Please RSVP before the event so that we can plan accordingly. $10 a person and $2 to rent skates. Feel free to invite your friends to this event and you can also use our Facebook Event to invite people over here. Please consider being a sponsor of this event, we are looking for 8 Maccabee sponsors of $180 which also includes 5 entry tickets.